Since the establishment of the P-10 school in 2000 there has been a significant upgrade of the Whole School infrastructure and its maintenance. This work continues according to the established priorities. As the resources are shared across the campuses, all students have access to all facilities and resources. * Newly refurbished and upgraded hospitality kitchen, now at industry standard. 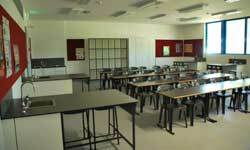 * Newly refurbished and outfitted science laboratories. 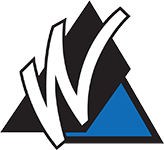 * Three dedicated computer laboratories with access to online learning, industry standard software and laser printers to support the network. * Library with a great collection of reference, non-fiction and fiction books, desktop or laptop networked computers, comfortable seating and an interactive materials collection. 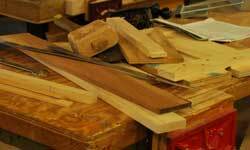 * The Technology Department incorporates state-of-the art wood, metal, electronics and textiles workshops. * Student Engagement Centre for students to who need a quiet and calm place, offering youth worker support, internet access and free information, and furnished with comfortable lounges. * Drama and dance rehearsal and performance areas. * Visual Art and Ceramics studios. * Digital media equipment such as digital still and movie cameras and programs such as photoshop. * Specialist design drawing rooms. 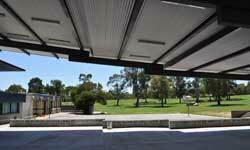 * Indoor and outdoor sporting facilities. 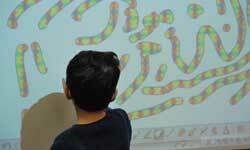 * Interactive whiteboards in all classrooms and a dedicated computer laboratory and classroom computers with access to online learning, up to date software and laser printers. 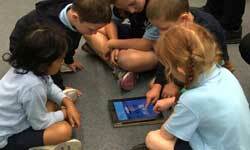 * iPads used in all classrooms. 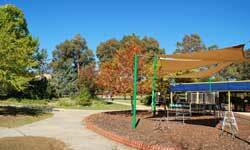 * Large covered outdoor learning and play areas. * A Library with a large collection of fiction, and non-fiction books and resources to complement our curriculum, from early pre-school/beginning readers up to teen/advanced readers. 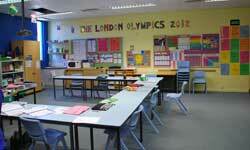 * Open plan teaching areas supporting team teaching environments. * Band and music area with practice rooms to cater for our range of music programs (guitar group, boys didgeridoo group etc). * Children's link and Parent Link multi-purpose resource rooms. * Sustainable School facilities including water tanks, solar panels and vegetable gardens. 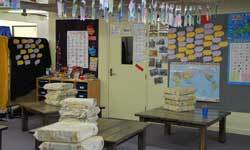 * Both Koori Preschool and Wanniassa Preschool rooms. * Interactive boards in all classrooms and a link to the Junior Campus network with access to online learning, up to date software and laser printers. * Large covered outdoor learning areas. * Multiple dedicated play areas inside and outside the classrooms. * Sustainable School facilities including a vegetable garden.